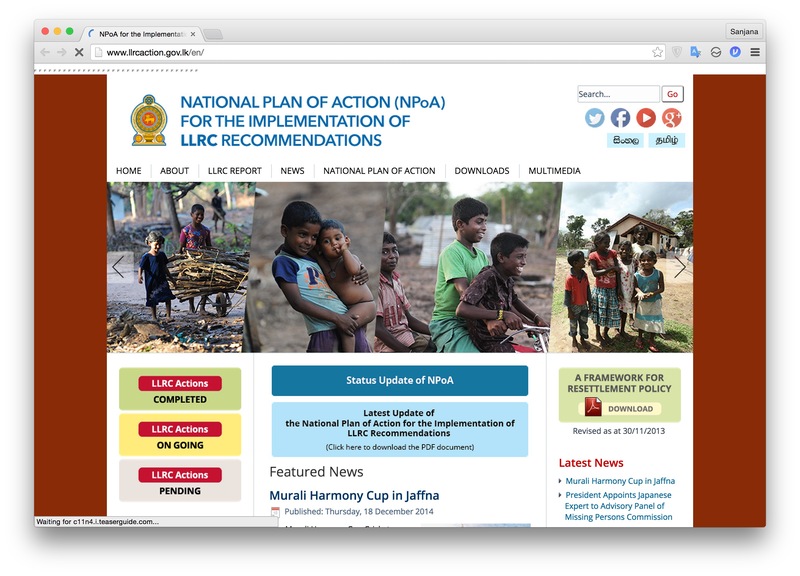 The first snapshot of the LLRC’s National Action Plan website was taken mid-2013. The second and third was taken in February and September 2014. At the time this fourth snapshot was taken in August 2015, the site had been relaunched with a new design and new information around the purported implementation of the LLRC’s recommendations. However, this revamp of the site, done just before the Presidential Election on 8th January 2015, hasn’t been updated since after the election. 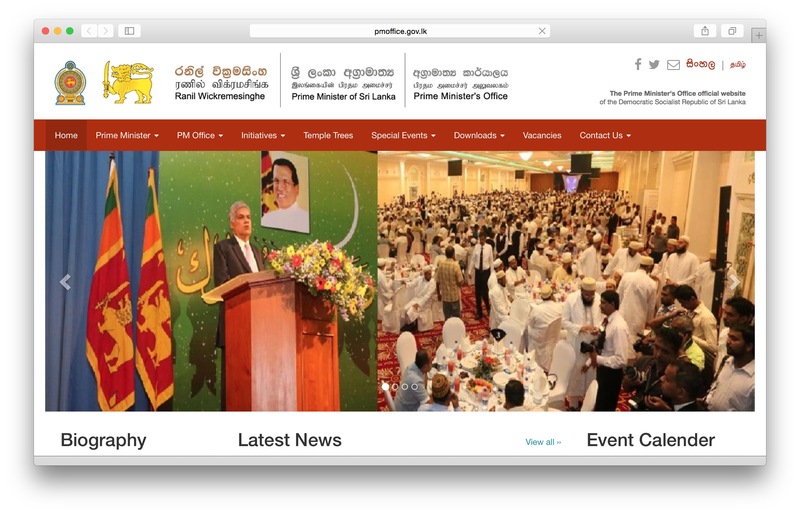 Official website of the Prime Minister of Sri Lanka, archived one day before the Parliamentary Election on 17th August 2015. At the time, the incumbent was Ranil Wickremesinghe, from the United National Party (UNP). Access the first archive here. Access the archive from 2 February 2016 here. Access the archive from 12 June 2016 here. Access the February 2017 archive here. Access the 9 January 2018 archive here. After the dramatic turn of events on 26th October 2018, the entire website has been wiped clean, with just the homepage active, featuring an image of former President Mahinda Rajapaksa.For what it is worth, an archive of this page (can’t really call it a site anymore) can be downloaded here. Download archive taken on 27 December 2018 here. 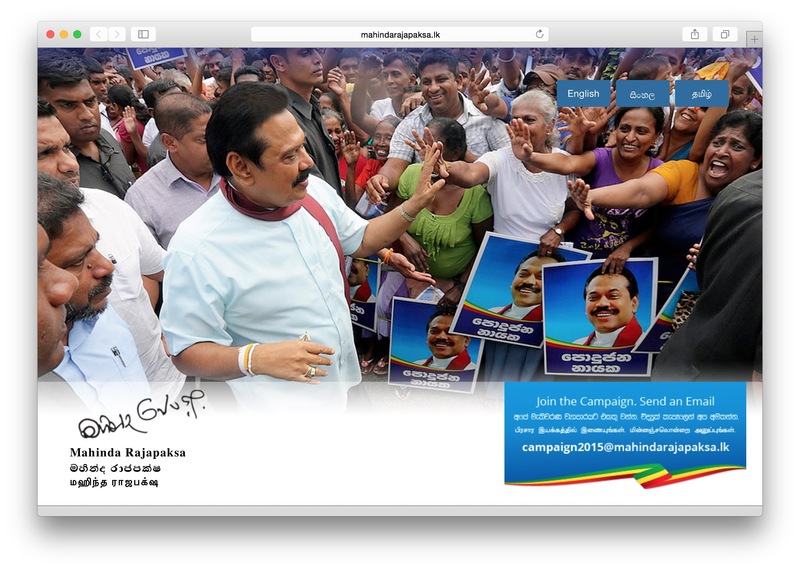 Mahinda Rajapaksa’s official site, archived one day before the Parliamentary Election on 17th August 2015. Access site archive from 2 February 2016 here. Access the site archive from 18 February 2017 here. Access the site archive from 1 May 2018 here.